If you love gambling perhaps you’ve wondered which are the best games to play when it comes to theoretical payout, or house edge. Are there games that can be beaten with strategy? Is there such a thing as a game in which you and not the house have the edge? 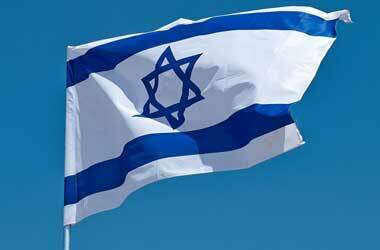 Read this article and find out. This article is concerned with the theoretical payout, which is basically a long term estimate – in an infinite number of hands – of how much money you’ll get to keep or how much of your money will the casino keep. A perfect game would be a 100% payout and a 0% house edge, which would mean you can play the game infinitely without losing any money. If the game has a 99% payout and a 1% house edge, that means that if you play the game for a very long time you’d lose 1% of all the money you have staked (not 1% of your starting bank). It would be a bad choice to play a game with a house edge of 5% or more, and there are plenty of these. So let’s list the best ones and then you can make your pick. This is a full list of games that pay well. While newcomers to the game may assume that Red/Black and Odd/Even bets have a 50% chance because they’re two-sided bets and pay 1:1, the zero gives the house the edge. In case of single zero roulette, the house edge for all bets is 2.70%, and therefore the return on investment you can expect in the long run is 97.30% of all the bets you’ve placed. 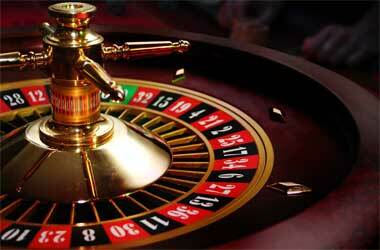 In case of double zero roulette the house edge more than doubles, to 5.26%. This makes roulette far from a fair game we usually think it is, and most slot machines are actually better than double zero roulette, and the only game you should ever play is single zero roulette. Strategies in Pai Gow Poker may differ, and some say it’s even possible to have an edge over the house, but most of the time you can expect the house to have between 2.50% and 2.70% edge over the player. It’s a complex game in which rules may differ, tables may differ, and in theory it’s perhaps possible to play this game to have a mathematical advantage, but you’d have to know exactly what you’re doing. Those who are able to play Pai Gow Poker with expertise can win money on this game, but will need to dedicate a lot of time learning the game and perfecting the playing style. 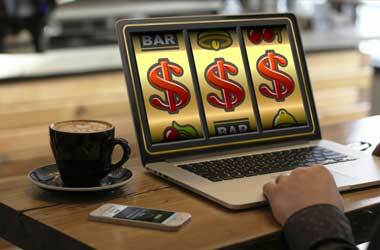 Slots usually don’t fall into the category of best-paying casino games, but some do, if you know how to find them. First of all, you’ll want to eliminate all slots that have a progressive jackpot as it’s unlikely you’ll win it, and the jackpot is populated with a contribution from the game’s RTP, leaving less for you. Slots are perhaps among the best-paying casino games – if you choose the right slot machine – as unlike the other games on this list, on slots you can win several hundred or thousand times your bet if you’re lucky. Slots that have payout of 98.50% or more are Cinema Classic (MultiSlot, 98.50%), Lucky Mermaid (MultiSlot, 98.50%), 1429 Uncharted Seas (Thunderkick, 98.60%), Chess Mate (MultiSlot, 98.70%), Jackpot 6000 (NetEnt, 98.90%), Cosmic Quest 2: Mystery Planets (Rival Gaming, 98.95%), Mega Joker (NetEnt, 99.00%). Of these, none is a real hit, and the best popular slot machine that also pays well is Blood Suckers (NetEnt, 98.00%). 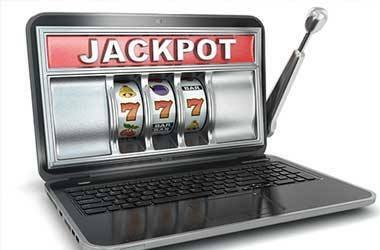 There are at least 150 quality slots to choose from if you wish to play a slot machine that has theoretical payout of 97.00% or greater, so slots are a fantastic choice for any gambler. The best thing about slots is that on any spin you can win your stake times hundred or a thousand or more, and therefore if you’re lucky you can walk away with a lot of cash, while other games on this list can usually just give you a ROI of a few percent – and you need to be lucky to even get that. 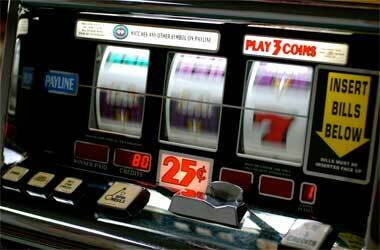 Winning a lot of money is almost impossible on these games, and on slots there’s a real chance of a big win. 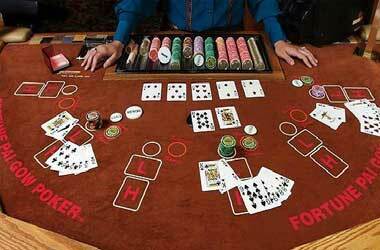 Baccarat is a game in which you can place your bets on Banker, Player or Tie. It’s a well known fact that Banker wins a bit more often and is therefore a better bet, and indeed a bet on Banker has a lower house edge, 1.06%, compared to 1.24% for betting on Player. We could say that these two bets have roughly the same house edge and both will pay almost 99%, as the difference between the two is minimal and would be obvious only with an incredibly large number of bets placed. However, it must be noted that a bet on Tie, while it has tempting odds, has a house edge of 14.36%. It’s a bet you must never place. Odds and rules of baccarat tables differ so it’s important to check them before placing your bets, and the house edges listed apply for standard payouts of 1:1 for Player and 0.95:1 for Banker bets. Baccarat does pay less than the best slot machine (Mega Joker, 99.00%), but we’re ranking it above slots because only two out of thousands of slots are better than baccarat. Baccarat is the simplest game that can pay almost 99%, as blackjack is complex, video poker strategy must be learned and perfected, craps is a particularly complex game, and pai gow poker is insanely complex. 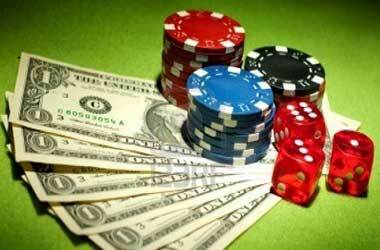 For those people who just want to flip a coin and get almost a fair payout, baccarat is the game. 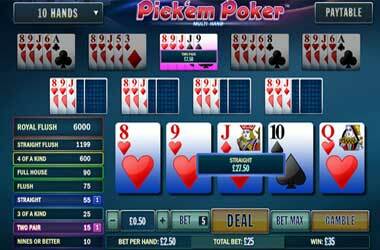 Pick’em Poker is a simplified version of video poker in which you have to pick one of two choices. You’re given two cards, and then two separate additional cards are dealt, and you must choose which of these two cards will you add to the two cards you already have. Two more cards are then dealt. Of course, there’s an optimal strategy for this. In theory it’s possible to find machines that pay almost 99.99%, although the best you can find online is the Playtech version of this game that pays 98.95%. As is usual with video poker, you need to carefully check the paytable and calculate the payout to make sure you’re playing on a machine that pays well. Otherwise you might be playing Pick’em Poker with a payout less than 97%, sometimes even less than 96%. Deuces Wild and Double Bonus versions of the game aren’t good, they pay slightly less than 98%, which is not ideal. 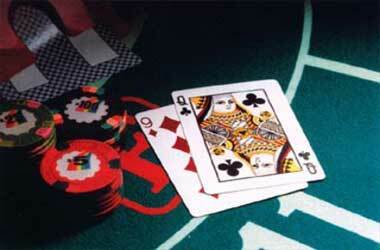 Blackjack can be considered a fair game, as the player may reduce the house edge to as little as 0.50% or even less than that by using the correct mathematical strategy. There are almost 7000 different possible combinations of rules, depending on number of decks used, whether dealer hits or stands on soft 17, whether player can double after a split, and, of course, does blackjack pay 3:2 or 6:5. Some rule combinations even allow the player to have the edge, but these only exist in theory. 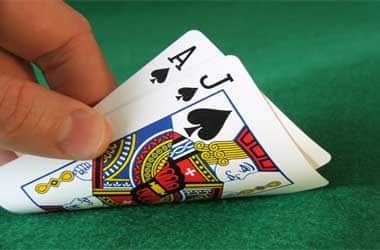 In practice, it’s important to check for certain rules that may give the casino an unfair advantage, but in general you can expect to have an almost fair game with only a negligible house edge. 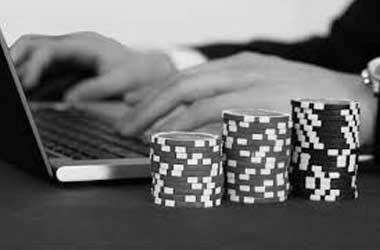 Just bear in mind that there are a lot of players who know this and think blackjack can be beaten, yet casinos are still in business. Don’t Pass has an even lower house edge of 0.40% to 1.40%, and The Odds is a side bet that’s made after a point is thrown, and it has exactly 0.00% house edge, making it a totally fair bet. It’s not possible for a player to have an edge over the house while playing craps, but it’s possible to have a fair game and to enjoy your gambling for a long time without losing any money at all. 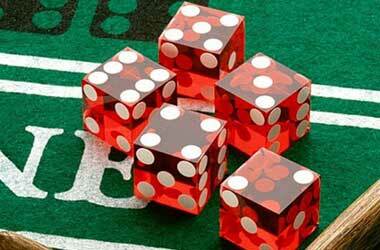 Craps is perhaps a challenging game to learn, but an experienced sharp players may navigate these bets with ease and play a casino game with almost no house edge. 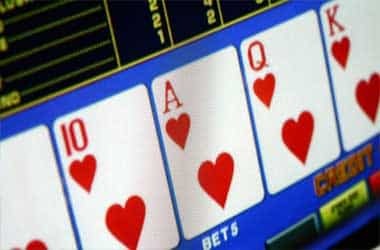 The one game in which the player can have the edge is video poker, but there are many video poker variants and the payouts differ greatly, so it’s crucial to choose the right version of the game and then do your own calculation of the theoretical payout, according to the paytable you’re presented with. Jacks or Better poker can pay up to 99.54%, Bonus Poker can return 99.17%, and Deuces Wild can yield 100.71% with the simple strategy on the full-pay version of the game, and this is the best possible video poker version to play. However, it’s difficult to find, almost impossible, and most players will have to be satisfied with a Jacks or Better video poker that does have a small house edge, less than 1%. Many players are actively looking for that video poker game that pays better than 100% but few manage to find it, and the rest have to be satisfied with a game that’s almost fair. It’s crucial to inform yourself about different versions of video poker and to check the paytable before starting to play, and you also must use appropriate strategy.